Headbaords are an Important element in any bedroom. They add style and they complete the room. 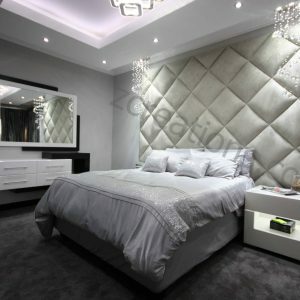 But the style chosen for the headboard depends on many factors. Some types and models are better suited for certain types of décor or rooms and it all depends on the preferences of the one choosing the design. Certain types are more general. 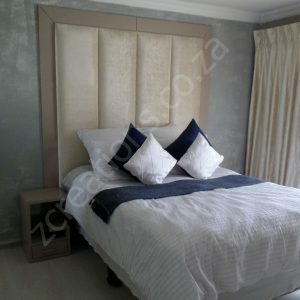 The upholstered headboards, for example, could easily be integrated in a variety of bedroom decors. The décor of this bedroom is a combination of vintage and modern and the upholstered headboard has the perfect design to highlight this idea. It’s simple and it also extends on the wall, providing a continuous background for the side table. 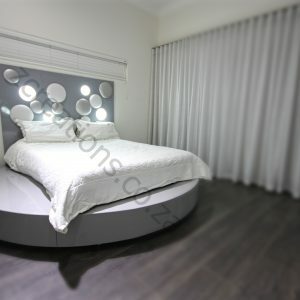 A contemporary bedroom like this one needs something even simpler. A white headboard has an elegant shape and it complements the bed and the décor perfectly. It’s white and simple but it still stands out with its delicate lines and overall stylish design. In some cases, the headboard can be extended and it can become a statement for the room. 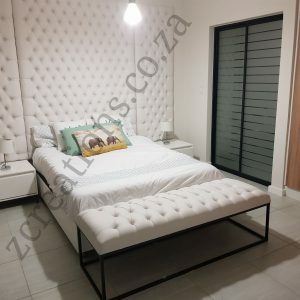 In this case, for example, the headboard wall has become a focal point for the bedroom and provides a continuous and stylish background for the side tables and lamp. 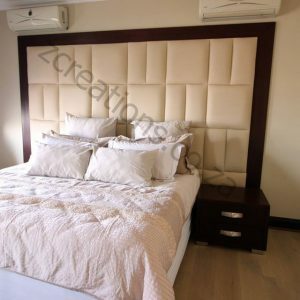 A similar concept dictated the design of this stylish headboard. It’s actually an upholstered wall that replaces the actual headboard. The panels and the pattern also provide an interesting focal point. 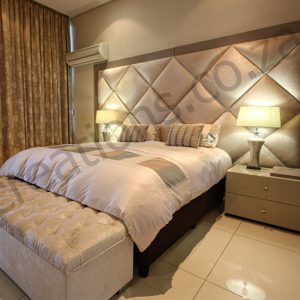 Tufted headboards are a popular choice because of the atmosphere they help create. They make the room feel casual, cozy and inviting, depending on the size and design. The fabric chosen and the color and texture are also important. In the case of this bedroom, the décor is simple and the atmosphere tranquil. The trimmed headboard is complemented by the pillow covers and the bedding and thus symmetry is created, although the details don’t match exactly, the two framed pieces of artwork displayed above the bed reflect this perfectly. Since we were talking about color and texture, here’s an example that showcases their important in a very suggestive way. 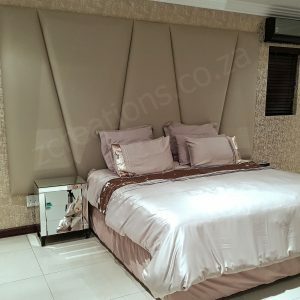 The headboard complements the décor beautifully as it has a color that matches the walls and accent details but doesn’t completely identify itself with these elements. 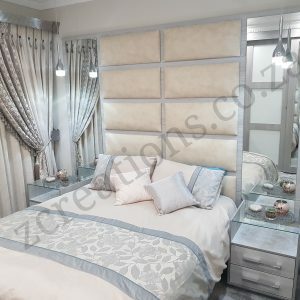 Upholstered headboards are also great elements to be integrated in traditional bedrooms. In fact, with the right design, they can perfectly capture the coziness and warmth that such decors usually offer. In this bedroom a white headboard was chosen to match the ceiling and to complement and contrast with the colored walls and flooring. Sometimes the headboard becomes a focal point through its color or design. But sometimes those details are not needed. 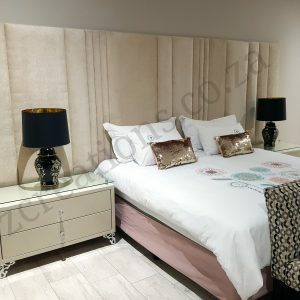 This bedroom features a beautiful and stylish upholstered headboard that matches the rest of the neutral décor perfectly but still manages to stand out with its elegance. Of course, different styles come with different shapes and designs. 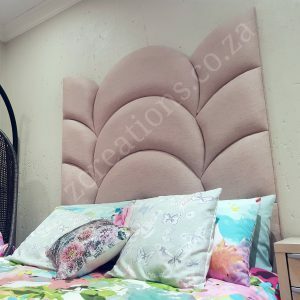 Sometimes the shape is enough for the headboard to stand out. In this elegant bedroom, the delicate curvaceous lines complement the décor beautifully, especially with that beautiful mirror hanging above the bed. 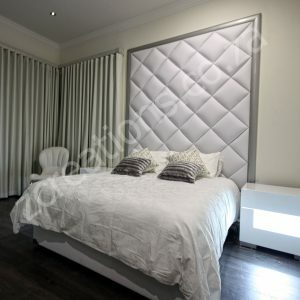 High headboards are always great statement pieces. This wingback upholstered headboard is simple in terms of design but it impresses with its elegance and chicness. It’s the perfect element to complement the minimalist décor of the room.